IMMEDIATE OCCUPANCY--TRAILWOODS OF ANN ARBOR VILLAGE COLLECTION!!!! 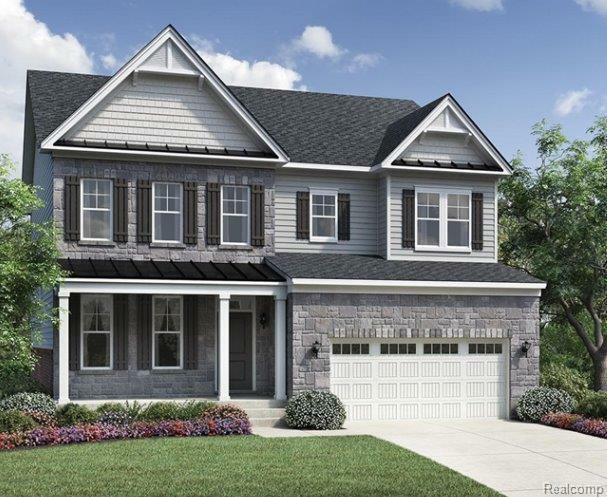 The Glenwood Manor is a 4 bedroom 2.5 bathroom home that opens to a spacious kitchen with large center island and walk in pantry!!! The expanded family room offers a beautiful fireplace with an abundance of space perfect for entertaining. The master bedroom includes dual walk-in closets with a private on-suite bathroom complete with a soaker tub and luxurious shower. This home is offering a gorgeous landscaping package for your perfect turn key home! Trailwoods of Ann Arbor is nestled on the West Side of Ann Arbor with highly acclaimed Ann Arbor public schools and low Scio Township Taxes. IDX provided courtesy of Realcomp II Ltd., via Toll Realty Michigan Inc and Ann Arbor Area BOR MLS, ©2019 Realcomp II Ltd. Shareholders.